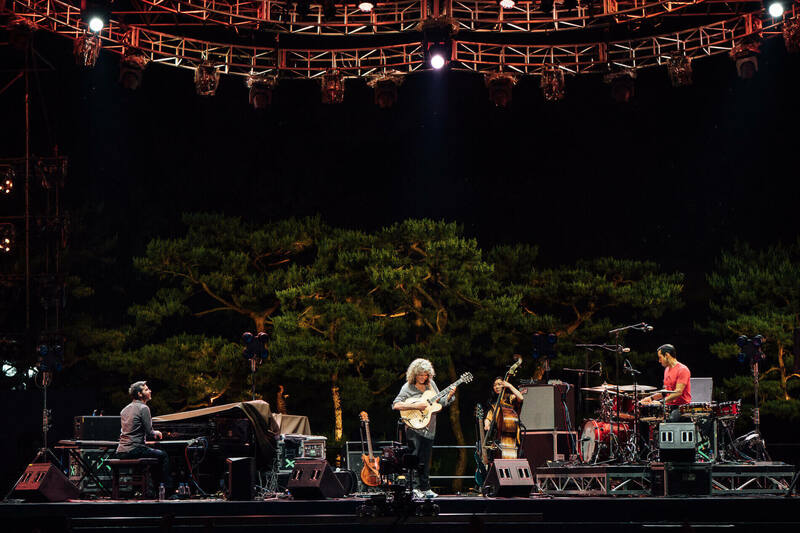 Gwilym will be back on tour with jazz legend guitarist Pat Metheny. The quartet includes Pat, Gwilym, Linda Oh (bass) and Antonio Sanchez (drums). The concert is called “An Evening with Pat Metheny” and features many of the great classics from the Pat Metheny Real Book. Do check the dates for more information. On April 16th Pat Metheny was honoured in Washington D.C. as an NEA Jazz Master. Pat says of his first musical encounter with Gwilym: ‘It was absolutely incredible what we were able to get to so quickly. I have only ever had that kind of communication and ease of playing with another musician a handful of times over the years to that degree’. You can read the whole article about the project here. why your cd with Pat Metheny don’t released?